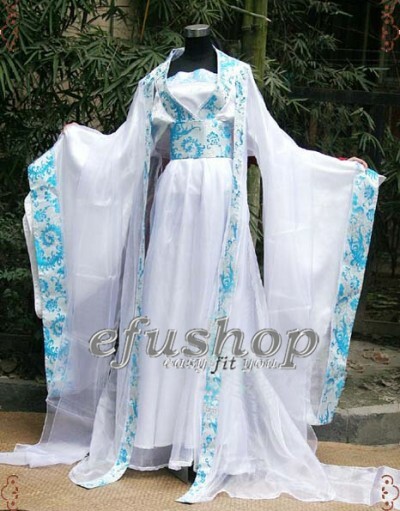 Description: white brocade with light blue phoenix tail brocade top and waist, white voile with satin skirt, white voile with light blue brocade broder coat. Four peices in total. Tradtional style. Wear it, you will feel come back to the ancientry.